Dedicated to the valentineless. Happiness doesn’t come from being accompanied or alone; there’s more to life than that. 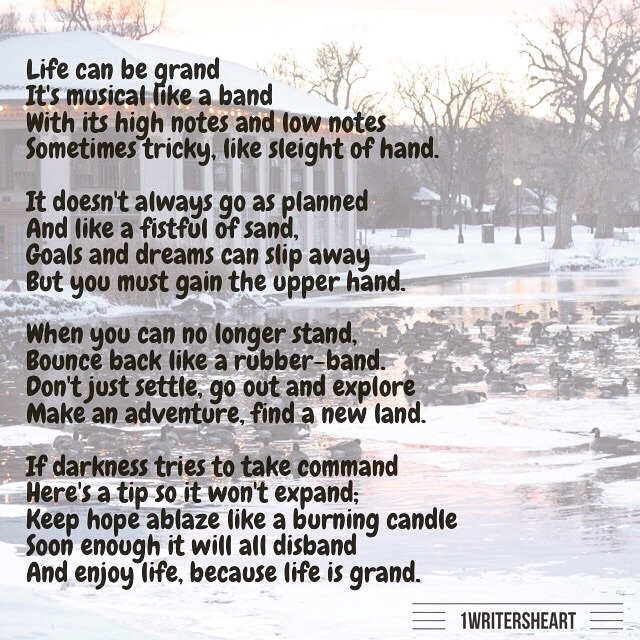 Go out there and enjoy because life really is GRAND! Absolutely! And I do enjoy every second of it. No matter what! God bless you! Beautiful! Oh, so gorgeous!. I feel so identified! Yup, thank the Lord He loves me so and “warms me up” when my heart is so cold. Thank you beautiful woman of God! Love you!